The Blazers themselves might struggle to earn national attention, but last year, one of the organization's more unique marketing schemes landed in the country's paper of record. 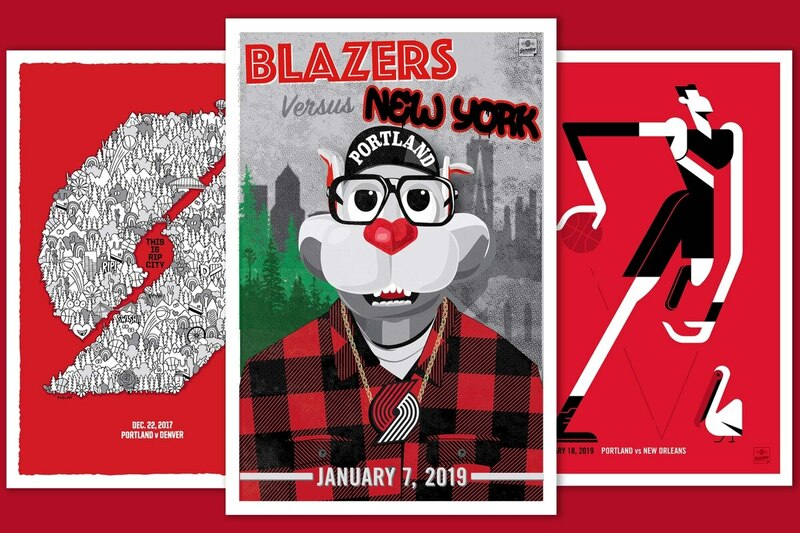 Since 2017, the team has commemorated every home game with a limited-edition poster created by a local artist, each printed in one-time runs of 110 and sold only at Moda Center. In December, The New York Times picked up on the promotion, with a full-page feature in its Sunday edition. "[T]he posters themselves have become some of the hottest collectibles in the Pacific Northwest," the Times wrote. "The Blazers, in addition to playing decent basketball, might as well be moonlighting as art dealers." The story was accompanied by a photo spread showing off some of the most creative and colorful pieces. Here's more the paper didn't publish.